A woman performs dance-like maneuvers suspended in mid-air. There's no end to the festivals and activities in Bangkok during winter. 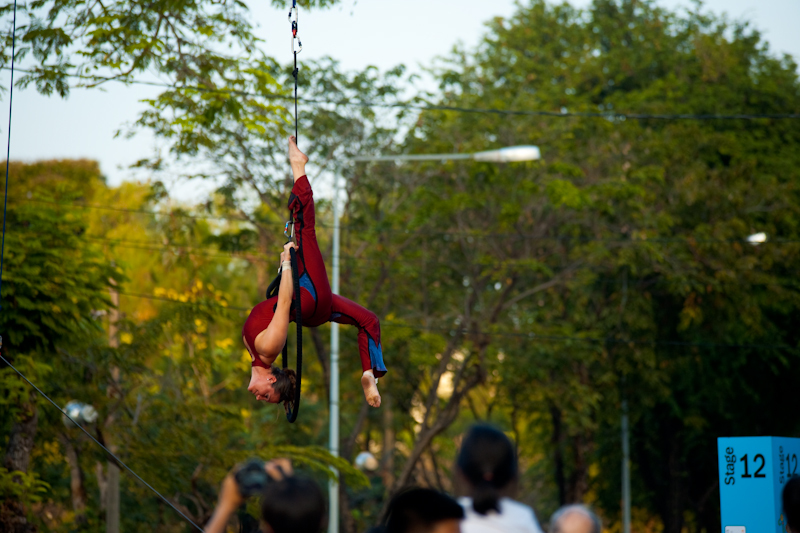 The act above is part of the street performer's festival that was sprawled over many acres of downtown Bangkok's Lumphini Park. Although some acts were entertaining, what I took away from the event was that local Thai street performers have an extremely unhealthy fascination with mimes and clowns ;-). 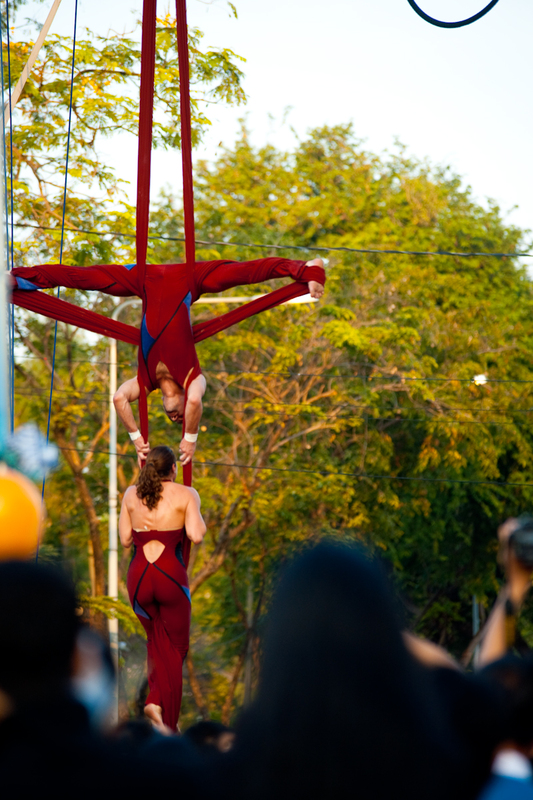 A foreigner tandem perform in the street performers festival at Lumphini Park.